Jacob Charles Stoneburner (born August 25, 1989) is an American football tight end for the New Orleans Saints of the National Football League (NFL). He played college football at Ohio State. He was signed as an undrafted free agent by the Green Bay Packers. Stoneburner attended Dublin Coffman High School. As a senior he recorded 74 receptions for 1,267 yards and 15 touchdowns. He was an All-Ohio Capital Conference, All-district, All-Metro and All-state selection. For his high school career, he recorded 168 receptions for 2,751 yards and 28 touchdowns and was a two-time All-state selection. He was also a U.S. Army All-American Bowl selecton as well as a selection for the Big 33 Football Classic. He also lettered in basketball and track & field. Stoneburner then attended Ohio State University where he majored in family resource management. In 2008, he redshirt as a true freshman. As a redshirt freshman in 2009, he appeared in all 13 games as a back-up to Jake Ballard. As a redshirt sophomore in 2010, Stoneburner appeared in 11 games, starting five. He recorded 21 receptions for 222 yards (10. avg.) and two touchdowns. In 2011 as a redshirt junior he appeared in 12 games, starting 10. He recorded 14 receptions for 193 yards (13.8 avg.) and seven touchdowns. In 2012, he switched from tight end to H-back and appeared in 12 games, with eight starts. He recorded 16 receptions for 269 yards (16.8 avg.) and four touchdowns. For his career, he recorded 53 receptions for 714 yards (13.5 avg.) and 13 touchdowns. 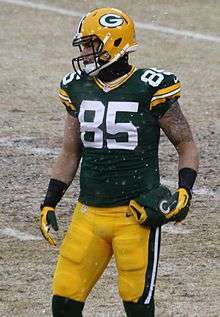 After going undrafted in the 2012 NFL Draft, Stoneburner signed with the Green Bay Packers on April 27, 2013. On August 31, he was released by the Packers. He was later signed to the Packers practice squad. On October 15, 2013, he was promoted to the active squad. As a rookie, he appeared in nine games for the Packers recording one special teams tackle. Stoneburner signed to the Miami Dolphins practice squad on November 4, 2014. The next month the Dolphins signed him to a Reserve/Futures contract. On September 6, 2015, he was re-signed to the Dolphins practice squad. On September 14, 2015, Stoneburner was signed to the active roster after tight end Dion Sims suffered a concussion. While on the active roster, he appeared in 11 games, with one start. He recorded five receptions for 47 yards and two touchdowns. On July 30, 2016, Stoneburner was waived. On August 4, 2016, Stoneburner was signed by the Rams. On August 30, 2016, he was released by the Rams. On September 14, 2016, Stoneburner was signed to the Saints' practice squad. Stoneburner is the son of Cathy and Mark Stoneburner. 1 2 3 "Jake Stoneburner bio". OhioStateBuckeyes.com. Retrieved October 21, 2016. ↑ "Jake Stoneburner, DS #13 TE, Ohio State". NFLDraftScout.com. Retrieved October 21, 2016. ↑ "Jake Stoneburner Draft Profle". NFL.com. Retrieved October 21, 2016. ↑ "Jake Stoneburner signs with Green Bay Packers". landgrantholyland.com. Retrieved April 27, 2013. ↑ "Packers release 22 players". Packers.com. August 31, 2013. Retrieved October 21, 2016. ↑ Demovsky, Rob (September 2, 2013). "A look at the Packers' practice squad". ESPN.com. Retrieved October 21, 2016. ↑ Demovsky, Rob (October 15, 2013). "Packers promote rookie tight end". ESPN.com. Retrieved October 21, 2016. 1 2 Nogle, Kevin (December 31, 2014). "Dolphins sign six to future contracts". ThePhinsInsider.com. Retrieved October 21, 2016. ↑ "PRESS RELEASE: Dolphins Sign 8 To Practice Squad". MiamiDolphins.com. September 6, 2015. Retrieved October 21, 2016. ↑ "Dolphins TE Jake Stoneburner ready to fill in for Dion Sims". FoxSports.com. September 17, 2015. Retrieved October 21, 2016. ↑ "Dolphins Make Roster Moves". ↑ Smith, Jeff (August 5, 2016). "Rams sign former Packers, Dolphins TE Jake Stoneburner". TheRamsWire.com. Retrieved October 21, 2016. ↑ Bain, Nate. "Rams Announce First Round of Roster Cuts". TheRams.com. ↑ "New Orleans Saints release RB C.J. Spiller". NewOrleansSaints.com.